Total Living Concepts provided an excellent professional experience from beginning to end. Right from the initial ballpark quoting on our design concepts and ideas earlier in that year right through to the actual commencement and completion of the construction later in the year. Designer Celeste’s knowledge and recommendations provided us with a polished end design and was able to keep us on budget, a real pleasure to deal with! The TLC crew in the field was also fantastic. They were friendly and respectful, always kept the site as clean as could be, provided recommendations where possible and always kept you in the loop of scheduling. The TLC crew also provided quality workmanship, spent the time needed to get the job done right the first time. Communication from top to bottom was impressive, as a homeowner, you were never left guessing at any stage, which is extremely important when undertaking an investment of this proportion. A great company to deal with. Will certainly be back for more! In the monster world of reno’s and construction, you pay for what you get! Thanks Total Living Concepts for a well executed renovation of our kitchen/dining room. 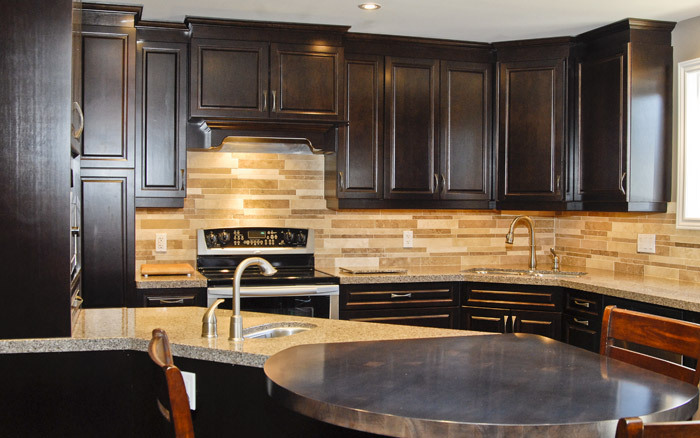 A few months ago, we considered a kitchen renovation and approached the company to discuss our ideas. The $1,500 design fee was money well spent to get a professional plan, that was deductible from the total cost. Celeste Pilon prepared an efficient design that required only minor changes to meet our needs. Her material and colour recommendations were also perfect. She followed the progress of the project throughout to ensure we were satisfied. Rob Tolles was the site supervisor who was either on site, or available by phone to solve unforeseen problems quickly. He also ensured that we were aware of any delays or schedule changes. The tradesmen were always polite and steady workers who ensured entry routes were protected, work area was enclosed to contain dust and that the area was vacuumed regularly. The work area was always secured when workers were absent. The final inspection found only minor concerns that were quickly rectified. The city and electrical inspectors were pleased with the quality of the completed work. In the end, we can state that this company made every effort to complete the renovation with minimal disruption. Kim, working with you and the Total Living Concepts team was such a great experience. I had imagined what I wanted for two years and Total Living Concepts made my dreams come true! I couldn’t be happier with our main floor renovation that included a new kitchen, new flooring and new fireplace. I wouldn’t change a thing! You did a great job of explaining everything in great detail – there wasn’t a time throughout the 9 week project, where I didn’t know what was happening and when. I also felt there were a variety of options and selection of materials to choose from to fit my budget. My expectations were always met and often exceeded. The entire team was very reliable, accommodating and professional. Brian is a highly skilled carpenter who did an amazing job with such great detail and always left the job site clean at the end of every day. Thanks also to Rob for his patience and leadership. I would highly recommend Total Living Concepts to anyone considering a renovation of any size and I look forward to working with the team on our next project! Just wanted to thank you for the wonderful job you did for us. We are very happy with your service, professionalism and knowledge throughout the whole process. Your follow up and attention to detail was amazing. We would recommend you in a second to any of our friends and family. We will enjoy our downstairs for years to come. We are happy with the Total Living Concepts experience! We added a few things on to your original quote so the project was a bit over budget but then it always is. LOL. We had to add our appliances on so that made it seem like more. In the whole scheme of things, we are very happy to have a one stop shop! Thank you again, Celeste. I am very pleased to write this review about Total Living Concepts in Barrie, Ontario. Work started on my kitchen in August 2016. From the beginning, the help with design and material selection was greatly valued. Also, communications were always ongoing, I never had to chase anyone down. Care was taken to keep everything inside and outside of the kitchen area as clean as possible during the reno. All the trades men were polite and professional and had a great attention to detail! All was completed in the prescribed time frame and on budget. Now I have a beautiful functioning kitchen and I’m very happy to recommend this company to anyone. TLC recently completed our Kitchen, Hall and Powder Room renovation and we are extremely pleased with the results. The project included a completely new kitchen, new porcelain tiles throughout the kitchen, the hall to our front door as well as the Powder room and laundry room. New drywall in much of the kitchen and painting throughout. New Kitchen Craft cabinets and Cambria Quartz counter tops. We provided all the appliances but TLC installed them all for us, including carrying them into the house from the garage, which was a challenge in itself given the size of the fridge. Throughout the entire project, which took approximately 12 weeks, the entire team at TLC was outstanding. With Celeste doing the design and being our ongoing planner and consultant on changes (and our primary communications person at TLC), and Jody, who’s excellent construction skills and patience with our questions made things a little easier to understand and to deal with, and Rob handling the coordination of trades people and making sure things got done and done correctly, everything went very well from start to finish. And all of the tradesmen, including Keith the electrician, Frank the tile installer, the drywall team and the painters, all did excellent and professional work. I would recommend any of them independently. We ended up spending a fair bit more that what we first envisioned, but mainly because we wanted some upgraded options with the cabinets and quartz counter tops, and because we were pleased with the work being done by TLC, so we kept adding more things into the scope of the original project. A lot of care and attention was put into every aspect of the reno by TLC, so we felt comfortable adding additional items to the project. We also ended up adding a completely new electrical panel, and a complete redo of the ceiling with new Lotus lights throughout our front hall, as well as some changes to the back splash tiles. The original estimates for plumbing and electrical were close to the final price but we did run into a few unexpected costs due to some minor replacement of plumbing drains. We never felt pressured to spend more or do anything we didn’t agree with. When we did voice concerns they were dealt with quickly and to our satisfaction. Overall, we would recommend TLC to anyone considering a kitchen renovation. Thank you for the wonderful renovation work your company has done over the last 10 years. My first meeting with you several years ago was to plan a kitchen renovation that I still just love. This renovation turned into wall removals and a revamped dining room. This past year you renovated my main bathroom and I am so enjoying it too. I have used your company because you are honest and fair, and you have capable, dedicated employees. You keep to schedule and always arrive on time. Every day during the bathroom renovation, Chris would call to let me know what would be happening the next day and when people would arrive. Your work is top quality and I have valued your design experience and advice on choices to make. I have recommended your work to several other friends because I know you will provide quality work. Thank you Glen Prairie and your team from Total Living Concepts. Having our kitchen renovated by your team was a great experience right from the time you delivered the quote right to when you drove in the last nail. I would recommend your company to anyone who is searching for a company to do a home renovation. It was a worry free experience. 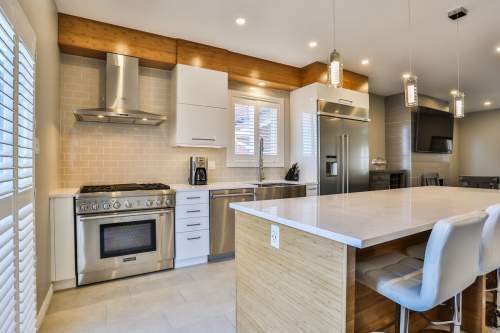 We have had the opportunity to work with Glen Prairie and his team at Total Living Concepts in the redesign and reconstruction of our kitchen last fall. The house we moved to in 2007 had a kitchen which had changed little from the original version built in 1958. Obviously there were going to be a lot of changes necessary to meet our present needs. We were very fortunate to have the group at Total Living Concepts to see us through the process during 2008. From April to July we met with Glen on a number of occasions. During that time he used a preparation format with questions and suggestions to help us determine our needs and priorities. He was very knowledgeable in the area and was able to help us focus on the possibilities and limitations. He showed a great deal of patience and creativity in helping us to arrive at a design which would suit the space for our kitchen. This was very important as we ended up reversing the working space, replacing a window with a door and relocating the laundry facilities. When we had set some directions, Glen was able to use his showroom, catalogues and personal information to help us through the numerous choices necessary for the project. When we had a rough plan, Glen estimated the specifications and timelines for the project and we reviewed and signed for the costs associated with each projected stage of the process. Glen also provided advice and timelines in the areas that his team would not supply such appliances and security systems. When the kitchen renovation started in mid September it became apparent to us that this was a complicated project but each challenge was met by the workers. The room was gutted back to the plaster and built back out from there. The old electrical, plumbing and structural system were overhauled, the demolished outer wall had more brick added on a new foundation, the new laundry appliances were fitted in the new area and the cabinets were carefully installed on a well fitted floor. Glen and his office staff were constantly in contact and available for all questions. As we were living in the rest of the house this was very valuable to our peace of mind and was certainly appreciated. At the end of October the project was finished as planned and some final cleanup work was completed in the first two weeks of November. The final bills were paid and we were pleased that the project cost exactly the amount to which we had agreed. There were two extra costs for a foundation and extra electrical work which could not have been predicted at the start of the process and which were quite reasonable and ultimately necessary in any event. In conclusion we would like to share our pleasure in our new kitchen and thank Total Living Concepts for their expertise in doing such great work. We would certainly recommend them to anyone interested in having a professional job done that looks and costs the way it was contracted to be done. We were fortunate to have had them renovating our kitchen. Glen was able to take our kitchen, which was a difficult shaped room, and make it work! We had our kitchen drawn up a few times before, but I was always unsatisfied. Glen worked with us to design a kitchen around our families needs. The result is an inviting and comfortable space which we are all enjoying. We also did renovations to the family room and dining room. The entire main floor is now coordinated. At the start it seemed like a job with too many obstacles but Glen and his team worked through each problem to make our home beautiful. I would like to take this opportunity to extend my sincere thanks and appreciation to you and your team for the excellent job you did for me. Your level of professionalism should definitely be commended. The kitchen and living room have received rave reviews by all. The transformation is remarkable. I particularly would like to thank Chris, who was always a pleasure to talk with and provided me with frequent updates on the renovations. Barb Ellis, the painter, who was extremely helpful and patient. She did a wonderful job. The electricians were courteous and quick with the job. Finally, a huge thank you to Kevin, who worked tirelessly providing such great quality work.. His professional and personal demeanors are truly commendable. A special thanks to you, Glen, for having the kitchen ready, as promised and for “going the extra mile”, in order to get the living room hardwood finished in time for Christmas! I would be more than willing to provide a recommendation for your business. Thank you, thank you, thank you and I look forward to our next home renovation project. The purpose of this letter is to express our complete satisfaction and indeed pleasure with the recent renovation completed by your company on our home. From the telephone call placed to Total Living Concepts to the final walk-through when the renovation was complete, we were extremely pleased with the level of professionalism and attention to detail exhibited by your company and everyone associated with it. Every single trades person who entered our door was courteous, friendly, exceptionally nice to our two (very inquisitive) children, and above all exceptionally competent in their particular area of expertise. Your office staff are to be much commended for their friendly yet always professional approach, and their willingness to “go the extra mile” in checking on details and delivery times, and that all important role of consistently ensuring that we were informed on every stage and step as the renovation unfolded. As for the actual design itself, words alone cannot express how much better life has become at our home! The kitchen is truly beautiful, but more importantly works so well with meal preparation and entertaining friends and family (something my husband loves to do with great frequency!). I cannot adequately describe how much better our family dynamics are working in the morning and evening – I can now honestly say that my children enjoy a hot breakfast every morning before school, more interesting and innovative evening and weekend meals, not to mention the great discussions that unfold over our brand new peninsula breakfast counter! I cannot begin to describe the many compliments we have received about the kitchen from friends and family, as well as the exquisite hardwood flooring and new traffic flow that has resulted from opening the wall between the family room and living room. As more than one person has commented, it’s like we moved into a brand new home. Please accept our sincere thanks, and pass on our compliments to all your staff! I would not hesitate to recommend Total Living Concepts to any of our friends and family, and indeed have already done so! It is said in retail, that a display that catches your attention and leaves you standing in awe, is to have created the “WOW Factor”. Well that seems to be the reaction from everyone that has visited our home since you renovated our kitchen/living space. Simply to say “Thank you” seems inadequate, never the less, “Thank you” to you and the entire Total Living Concepts team. They were a pleasure to deal with and obviously take great pride in their craft. Your reputation precedes you and we certainly see why you came so highly recommended. We would certainly not hesitate to recommend Total Living Concepts to anyone who is contemplating a renovation. You have made our home a pleasure to spend time in. We absolutely love our new space. Once again Glen, Thank you so much. 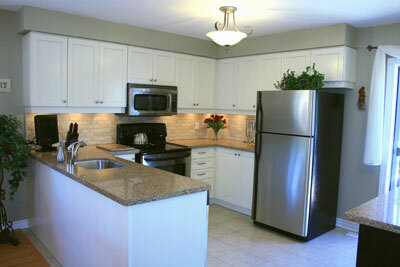 I would never hesitate to recommend Glen Prairie for any home renovation project. Our stunning new kitchen is testimony to Glen’s talent for design, quality and service. Glen is a perfectionist who is attentive to every detail. His total accessibility throughout all aspects of the project and his particular brand of creativity guarantee a ‘state-of-the-art’ end product. After speaking with many people in the renovation and kitchen business, we decided to go with Glen. Our kitchen is proof positive that this was entirely the fight decision. Total Living Concepts does a great job! My new kitchen designed by Glen Prairie is more efficient and more convenient due to the increased work area and storage space and it is far more pleasing to the eye. Glen also saw to the remodeling of my bathroom using highly skilled craftsmen and top quality materials. In the design of both rooms, my personal requests were combined with Glen’s expertise to produce up-to-date easy living spaces. I would recommend Total Living Concepts to anyone considering remodeling or additions. Kim, I love the furniture and I want to thank you again. It is the right size, the perfect combination of fabrics and the style that I wanted. You were able to steer me in the right direction and the decision was made quickly. Just want you to know that I have had several inquiries about my renovation experience and I have been able to tell people, without hesitation, that I highly recommend your company. The design support, the exceptional quality, timely response to questions and changes, a clean and safe job site and all within budget and the stated schedule – who could expect more! I was confident that this was a team of professionals. So please thank the team. They should be proud of the work that they do. Thank you! Merci to Kim and the Total Living Concepts team!! We had our kitchen and bathroom done and they did a super job. My husband suffers from Early Onset Alzheimer’s and Kim, a great designer, designed a bathroom and kitchen to reduce stress for an Alzheimer’s household. They are great! My husband needed some accommodations during the renovation process, and all their employees were very compassionate and accommodating. It made his daily life easier. Each of the TLC team were fantastic. I wouldn’t hesitate to recommend TOTAL LIVING CONCEPTS for any job big or small. A big MERCI to Kim and the TLC team!! Thank-you to the Total Living Concepts team of professionals for my new kitchen. I love it! Your design ideas were perfect for the small size of the kitchen and I will enjoy working in it. Again many thanks. Thank you! Thank you! Thank you! We didn’t just get a renovation, we got a “Brand New Home”! Glen – Thank you for creating the wonderful ‘Open Concept’ and your assistance in putting this project together. Thank you also for your patience during the entire process. Rob, Brian & Jody – Thank you for all your hard work and the attention to detail and to the finishing touches. Chris & Céleste – Thank you for all our chats and your direction & patience during this project. We are extremely happy with our new living space and plan on enjoying it for many years to come with our family. Total Living Concepts has completed a number of projects for me over the past 16 years – all with expertise, efficiency and courtesy. I recommend them highly. 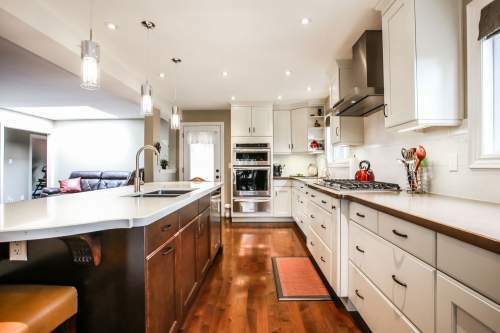 My first project was a kitchen renovation that included removing walls, changing the layout and replacing cupboards and sink. The design ideas presented to me were helpful, within my budget and worked well with the space available. Sixteen years later, my kitchen still looks “brand new” and I love working in it. My next major project was a complete bathroom renovation. I’m completely satisfied with all the materials selected and the quality of the work – all up to Total Living Concepts’ high standards. Over the years, Total Living Concepts has been my “go to” whenever I need a plumber, electrician or someone to do any type of new work or repair. Whenever work is scheduled, people arrive on time and complete the work with efficiency and courtesy – and they always clean up the site! I always receive a written estimate beforehand with a contract, so I know all my costs before the work starts. This past summer, a new deck railing was designed and installed. Now I have what looks like a new deck that will last for several more years. The staff at Total Living Concepts go out of their way to be helpful with suggestions and alternatives. Over the years, we have established a comfortable, “friend” relationship. I have recommended Total Living Concepts to many of my friends and will continue to do so. I wanted to let you know how happy we are with our new kitchen! We are especially pleased with the innovative design. It makes use of all available space and we enjoy the unique features. It is so easy to find things and to put things away. I love the large drawers for dishes, pots and casserole dishes. Everything is so easy to access. Putting away dishes is a snap! All the staff during the project were friendly and courteous. Everyone seems happy and has a good sense of humour. We were kept well informed of the expected progress each day, The workers did a good job of keeping the dust down and keeping the work site as tidy as possible. I have been recommending your firm to anyone I know who is thinking of renovating. As you know I have few other projects around the house that I plan on having you do. Total Living Concepts has provided for me a very workable kitchen while at the same time, created a sense of volume with unique style. Please accept this delayed appreciation with regard to the fine workmanship and attitude of Glen Prairie and his team. 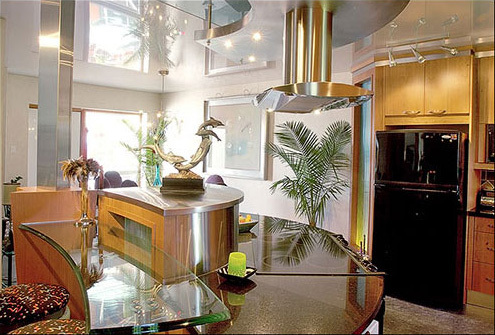 My kitchen was remodeled by Total Living Concepts in 2004. I am so proud of this white kitchen and do not hesitate to tell everyone it is a product of Sears through Total Living Concepts. Deepest Thanks to all involved. Thanks to you and your team for delivering a great job on what I consider a fairly large renovation. We have a terrific new basement!. It has been almost seven years since you did my renovation. I still love the kitchen design and frequently receive compliments. This week my Moen faucet started to leak and I contacted you for advice, knowing you would know what to do. Within 15 minutes a plumber called to arrange an appointment. A few hours later, they arrived to fix the tap. As they had to order some parts, they returned the next day to finish the job. In a business meeting this week I used you and your company as an example. Not only are your designs, products, and installations terrific, but the service you provide is truly phenomenal. I was completely comfortable recommending you and Total Living Concepts before. After this experience, I can assure you, without hesitation, I will continue to recommend you. Thanks again Glen, and wishing you continued success. We just wanted to say thank you to Total Living Concepts crew for the wonderful job they did on our new bathroom and the work to fix the existing plumbing problem. Glen’s attention to detail from the first consult to the on-going inspection of the work while in progress was very impressive. Glen took our personal design ideas and increased the overall size of the bathroom and increased the planned storage space (always a plus in any home). He spent a lot of time with us, introducing us to the remodeling business, ensuring that we understood the various product choices and quality. Glen’s time and effort in explaining these to us has resulted in extreme satisfaction with the quality of products used in our bathroom, exceeding our expectations for the outcome of this project. The Total Living Concepts work crew was great. They were respectful of our privacy and took care to always use drop sheets from the front door all the way to the work area. The office staff’s communication with us during each step of the job was amazing. They were always professional, friendly and attended to each and every question or concern we had during the job. Chris’ calls to keep us informed of when inspectors, the various work crews and contract workers would be coming was so important for us to be able to carry on the business of day to day living. We can’t thank her enough for her time and attention to keeping us in the loop. When we were dreaming of adding this bathroom to our home, we did so with much trepidation on finding the right people to do the job. After consulting friends and looking for people in the business to provide us with referrals to contractors in Barrie, it came as a pleasant surprise to meet Glen at the Barrie Home Show. Speaking to him on that day left us with the feeling that we had encountered at least one contractor that really knows his business. That feeling was proven correct over and over again throughout the entire process. We would never hesitate to have Total Living Concepts work in our home again and will highly recommend them to others looking for home remodeling. “If I had to limit the adjectives to describe how you work (and you know I don’t like limits!!) I would have to say ‘vision’–after only a few hours at our initial meeting how you were able to capture, ‘my vision’ was remarkable. First drawing!! The sketch said it all and I knew we would understand each other from beginning to the end. Your advise about which cabinet manufacturer would give me the quality and design and could fulfill the unusual design details was ‘bang-on’. The finishing and hardware were beyond my expectations. The first time I saw the cabinets I was thrilled. Your willingness to please and ability to work with other on site personnel made this experience a pleasure as well as your staff who somehow became part of our family. The pride your staff has in their ability to overcome obstacles (when I asked for the moon) and their willingness to listen to us when we made suggestions was exceptional. So what I have been left with Glen, is a love affair with my kitchen where our good friends have needed at least two hours just to take it all in. When contemplating this venture, one always dreads the inconvenience and mess associated with it. However, you and your associates came in and took every measure to insure that this was kept to a minimum. You finished the job within the expected time frame and I was able to use my kitchen in no time. The kitchen looks great and I am enjoying showing it off to my friends. Glen Prairie did not only redesign my kitchen and move walls, but had the proper trades people in place to perform the task at hand. I find this the most enjoyable room in the house. Thanks for a great job! Thank You very much for the outstanding work done by you and your team on our remodeling project!! It was a pleasure working with you at every stage of the process from initial planning discussions through choosing precisely the ‘right’ materials and fixtures, co-ordination of the trades, monitoring quality of each component of the project, to successful completion on time and on budget. We are absolutely thrilled with the final result and look forward to working with you again in the years to come in completing our vision of the ‘Total Living Concept’. This is just a quick note to comment on the second project that your staff recently completed in our condo. The professionalism shown by Kim and Rob, who Janet dealt with mainly, and other staff she contacted as required is very much appreciated by both she and I. Follow up and follow through was excellent by all involved parties. We know that working in a condominium is more difficult than a house, but to quote our Superintendent and our cleaner, “I wish all Tradespeople were as considerate as these people.” I am not sure that there is many more projects that Janet can have done here, but rest assured if there is, Total Living Concepts will be her first call. As I mentioned on the phone, Kim and Rob were great to work with! This comes with a big thank-you for all your help. Your talent, your understanding and professional expertise carried us through a project that by nature is a challenge. We really appreciate working with you, always available to listen and transfer information as need be! We love your choices and lover our new kitchen so much! Kim, All the trades people from Darcy, Doug and Matt, Ben, Frank, Todd, Gary and Laura have been fabulous. I hope I didn’t forget anyone. But it all starts with your design. Thank you. It’s amazing how many people it takes to put together a small bathroom. Everyone was very courteous and very knowledgeable.